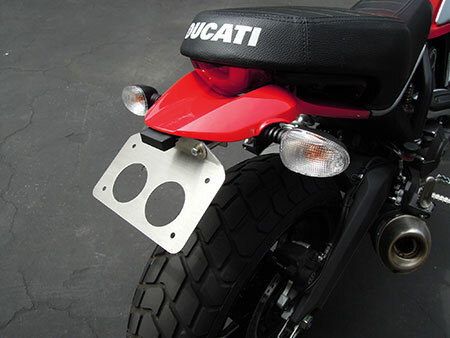 Also know as a tail tidy or fender eliminator, this kit relocates the license plate mount and illumination light below the tail section, replacing the bulky stock swingarm mounted unit on Ducati Scrambler Icon and Urban Enduro models. 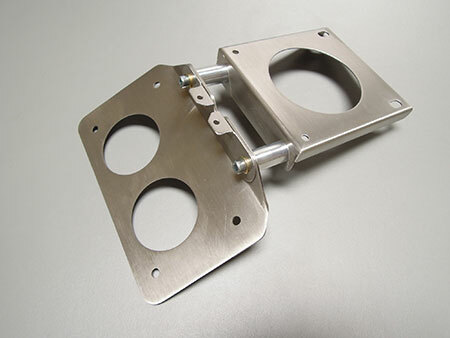 Made in USA with high quality stainless steel and aluminum construction, the kit is supplied with all necessary mounting hardware and complete instructions. The names STORZ ® and CERIANI ® are registered trademarks of Storz Performance, Inc. Any other product names in this catalog are the property of their respective holders. Contents of this catalog are Copyright 2017 by Storz Performance, Inc. All rights reserved, including the right to reproduce this catalog or portions thereof in any means electronic or mechanical without prior written permission from Storz Performance, Inc.